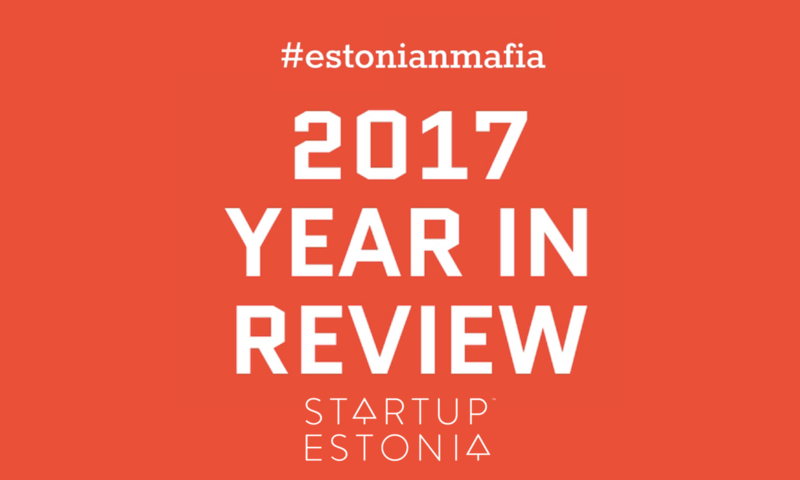 We are happy to present the overview of the year 2017 in Estonian startup scene, including the statistics about biggest employers, investments and exits, taxes paid, turnovers and much more. Additionally to the infographic, we also have a more deeper analysis with comments from seasoned members of Estonian startup scene down below. Employee count. There are currently around 500 startups in Estonia with new ones popping up as we speak. When concluding 2016, we accounted Estonian startups to employ 3500 people around the globe, out of which ¾ are estimated to be employed in Estonia. For 2017, the statistics show that startups employ 4300 employees globally and 3000 in Estonia so we are seeing a steady growth in the employee numbers. Although we see a lot of new early-stage startups popping up, the startup-scene is also maturing, displaying good turnovers and creating well-paid jobs.To illustrate that: top 10 employers account for about 50% of the startup employment. Biggest employers in Estonia are TransferWise (486 employees), Pipedrive (267), Taxify (174), Starship Technologies (110) and Cleveron (104). The list of fastest-growing startups is pretty similar. On their way of becoming a unicorn, Taxify is on top of that list - growing their team from 38 in Q1 to 174 in Q4 (+136 employees! ), followed by TransferWise (+89), Pipedrive (+61), Starship Technologies (+29) and Cleveron (+28). Investments & exits. Biggest exits of 2017 in chronological order were Teleport acquired by mobility management platform MoveGuides, big data platform PlanetOS being acquired by Silicon Valley-based Intertrust Technologies and Estonian Java developer tool ZeroTurnaround being acquired by Rogue Wave Software. The deal sizes have not been disclosed, all of them have been considered successful and at least one of them bringing in a range of 50M EUR. Altogether Estonian startups raised 270M EUR in 2017. By far the biggest investment was made into TransferWise, closing down a staggering 240M EUR Series E round. The fintech unicorn was followed by Skeleton Technologies (15M EUR), ZeroTurnaround and Jobbatical with 3.5M EUR each. Although for 2017 the whole amount of investments, while not counting Transferwise, was smaller than a year before (30M EUR vs 80M EUR), in terms of deal count the difference is not so significant (43 deals in 2016 vs 39 deals in 2017). This indicates that there is a lot of early-stage investments on the market and now with new VC funds starting to operate (e.g. 3 new funds under EstFund estimated to push approx 95M EUR to the market) 2018 seems to have a very good outlook to also raise follow-up rounds in Estonia. Employment taxes and turnover. The growing number of startup employees goes hand in hand with growing amount of employment taxes paid. Estonian startups are indeed increasingly contributing to the local economy. While in 2015 the startups’ tax contribution was 21M EUR, it increased to 28M EUR in 2016 and to 36M EUR in 2017. That means we are seeing quite a stable 30% YoY growth. Largest contributors include TransferWise (6M EUR), Pipedrive (4,3M EUR), Adcash (1,9M EUR), Zeroturnaround (1,8M EUR) and Starship Technologies (1,3M EUR). Pointing out the biggest growers, Pipedrive is contributing to the employment taxes +1,6M EUR(!) compared to 2016 and previously mentioned Taxify has grown their employment taxes a whopping +268%: from 216K EUR to 806K EUR over the past year. For the first time in 2017, we are also able to analyze the turnover of Estonian startups which in total amounted to 275M EUR. The startups with the biggest turnovers include Adcash (49,9M EUR), ZeroTurnaround (34,6M EUR), Starship Technologies (18,5M EUR), Pipedrive (18,4M EUR) and Creative Mobile (17,1M EUR). The year of 2018 shows potential in bringing even more successful startups in already strong segments like fintech, collaboration and business software. Looking at newcomers of 2017 a good deal of new startups were launched in the cyber-tech field (including all blockchain related business models, cryptocurrencies, authentication and data security), sharing economy in a wider sense (marketplaces for different services) and cleantech (solar and wind, optimizing consumption). We'll be keeping an eye on those segments for sure!